The refreshed Premier Pro microSDXC / microSDHC UHS-I Class 10 series are now A1-ready, featuring read speeds of up to 95 MB/s and write speeds of up to 90 MB/s. Storage capacities range between 1 GB and 256 GB. 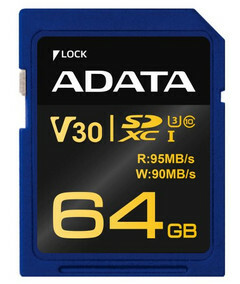 ADATA also implemented the V10 and V30 standards for video recording speeds up to 30 MB/s. ADATA is mostly known for quality DRAM modules and SSD solutions, but the Taiwanese company also manufactures USB flash drives and SD memory cards. Speaking of SD and microSD memory cards, the company has recently announced that the Premier Pro microSDXC/microSDHC UHS-I Class 10 series will be updated with improved cutting-edge technologies that should boost the performance and reliability even further. The updated memory cards will include the new A1 standard (part of the latest SD 5.1 specifications) that facilitates better read and write speeds, along with higher numbers for the input / output ratings. 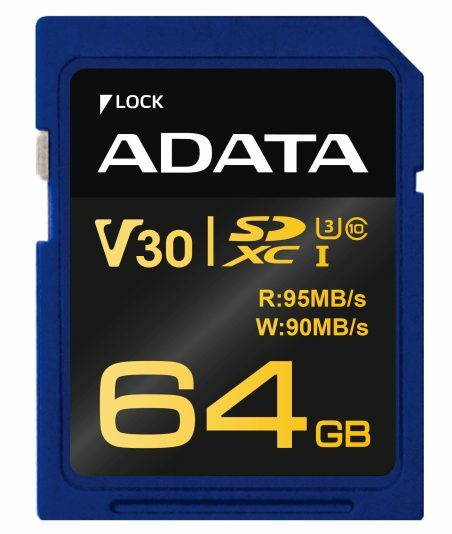 Since many digital cameras include at least 1080p video recording capabilities these days, the refreshed memory card lineup from ADATA will also integrate the V10 (10 MB/s) and V30 (30 MB/s) standards for high-speed video recording. 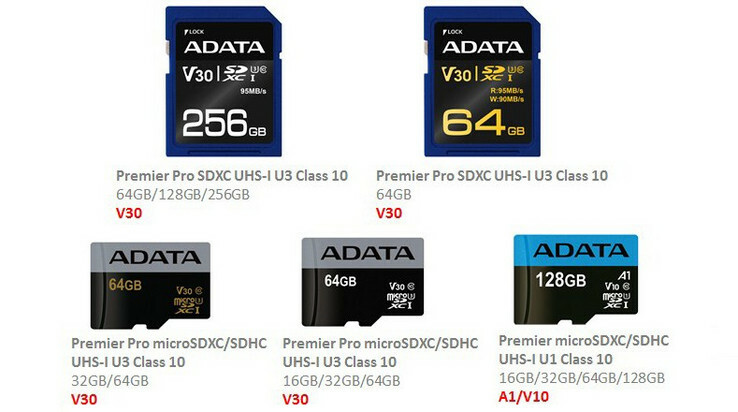 ADATA’s improved Premier Pro series offers storage capacities ranging from 16 GB all the way up to 256 GB and features read speeds of up to 95 MB/s, with writing speeds capped at 90 MB/s. These high speeds are even offered for the mid-range solutions that pack capacities between 16 GB and 64 GB. No details on pricing and availability have been disclosed as of yet.